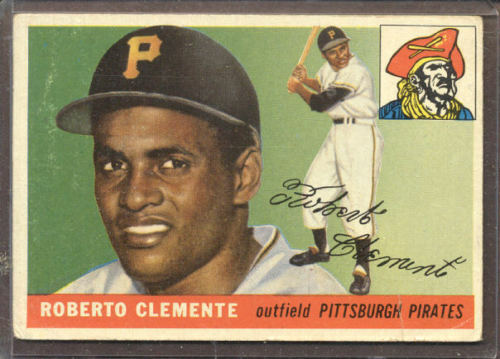 Topps has announced that legendary Pittsburgh Pirates star Roberto Clemente will appear on 2012 Topps cards now that the company has signed a multi-year deal with Clemente's estate. This deal is on the heals of the announcement that Willie Mays will appearing on and signing 2012 Topps Baseball cards. There should be several types of Clemente insert cards, including cut signatures and relics, throughout 2012. Topps Series 1 will be the first product to offer a sampling of these cards.